Meet the legendary tank shooter. Join more than 90 million players! 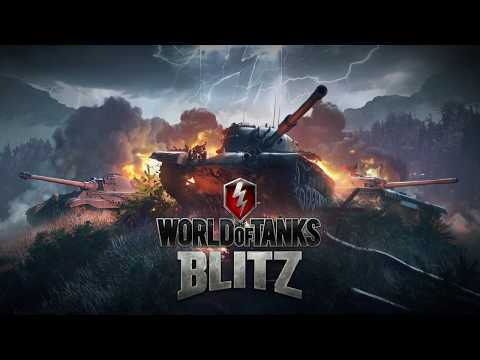 Fight in 7vs7 team battles alone or with friends, research and upgrade armored vehicles, try different tactics and win. Choose a tank and join the battle! • A huge world of tanks. Witness historical vehicles and models from other popular universes face off on the battlefield. The game features more than 250 unique vehicles! • Dynamic 7vs7 battles in different modes and in more than 20 game locations. Every battle is unpredictable: the outcome depends on you and your team. • A well-developed progression system. Explore the full range of vehicles from Tier I light tanks to humongous Tier X heavies. Change guns, install equipment, apply camouflage—tune your vehicle to match your playstyle. • Spectacular graphics that are automatically optimized for your device. Manual tuning helps find a balance between vibrant colors and high FPS. • Team game. Create platoons with your friends or join a clan to fight with like-minded people, then participate in tournaments with prizes! To install the game, you need at least 3 GB of free space and an internet connection.